Retired Aug. 1, 1969. Died June 21, 2007. Lieutenant General Robert Allen Breitweiser was commander in chief, Alaskan Command, and commander, Alaskan North American Air Defense Command Region. General Breitweiser was born in St. Joseph, Missouri, in 1916. He graduated from South Denver High School in Denver, Colorado, in 1932 and attended the Colorado School of Mines at Golden, Colorado, for two years where he majored in Petroleum Engineering. He obtained an appointment to the U.S. Military Academy in 1934 and received a bachelor of science degree in military science and engineering, ranking third in a class of 301. The General completed primary and advanced flying schools at Randolph and Kelly fields, Texas, in August 1939. He remained at the Advanced Flying School as an instructor until he went to Maxwell Field, Alabama, as training group operations officer. He was designated commandant of the Contract Primary Flying School at Bennettsville, South Carolina, in August 1941. The following February he was assigned to Headquarters, Southeast Training Center, Maxwell Field, Alabama. Transferred to the China-Burma-India Theater in August 1943, General Breitweiser served with the Fourteenth Air Force and the 68th Composite Wing. While with the Fourteenth Air Force he served as General Chennault's personal representative to General Wedemeyer, the China Theater commander. During his duty tour in China, General Breitweiser flew 120 combat hours on 22 combat missions, accounting for numerous enemy trucks and river craft destroyed, plus one 6,000-ton freighter. Returning to the United States in July 1945, he was appointed deputy chief, and later, chief of the Requirements and Resources Branch, Military Personnel Division of Army Air Force Headquarters, Washington, D.C. In August 1947, General Breitweiser was transferred to Ramey Air Force Base, Puerto Rico, and served as assistant executive officer, 24th Composite Wing. He was appointed commander of the base in July 1948, and served in that capacity until May 1949. After graduating from the Air War College at Maxwell Air Force Base, Alabama, in 1950, General Breitweiser became executive officer to the assistant secretary of the Air Force for management in Washington, D.C. He served in that position until November 1951, when he was appointed vice commander of the 34th Air Division (Defense), Kirtland Air Force Base, New Mexico. Transferred to Ent Air Force Base, Colorado Springs, Colorado, in May 1952, he was named assistant deputy chief of staff for operations for the Air Defense Command. In July 1954, the general returned to Washington, D.C, as a student in the National War College. Upon his graduation in June 1955, he was assigned as special assistant to the deputy director for estimates, Directorate of Intelligence, Headquarters, U.S. Air Force, and became chief of the policy and management group the following February. In June 1956, he was named deputy director of estimates office of the assistant chief of staff, intelligence, U.S. Air Force. In February 1957, General Breitweiser was designated the director for intelligence, Joint Chiefs of Staff, Washington, D.C. In July 1961, General Breitweiser became assistant chief of staff, intelligence, Headquarters U.S. Air Force, and in September 1963 he assumed command of the U.S. Air Force Southern Command in Panama, Canal Zone. In August 1966, he became vice commander, Military Airlift Command. Among the general's awards and decorations are the Distinguished Service Medal, Legion of Merit, Bronze Star Medal, Air Medal, Army Commendation Medal with oak leaf cluster, American Defense Service Medal, American Campaign Medal, Asiatic-Pacific Campaign Medal, World War II Victory Medal, National Defense Service Medal with bronze star, Air Force Longevity Service Award with silver and two bronze oak leaf clusters, Order of Yunhui (Special Breast) of China, Friendship Medal with Citation (Argentina), Royal Order of the Sword (Grade of Knight Commander) - Sweden, National Order of the Condor of the Andes (Grade of Commander - Certificate of Honor) - Bolivia, Grand Star of Military Merit (Chile), Order of Aeronautical Merit (Grade of Great Officer) - Brazil. He is rated a command pilot. 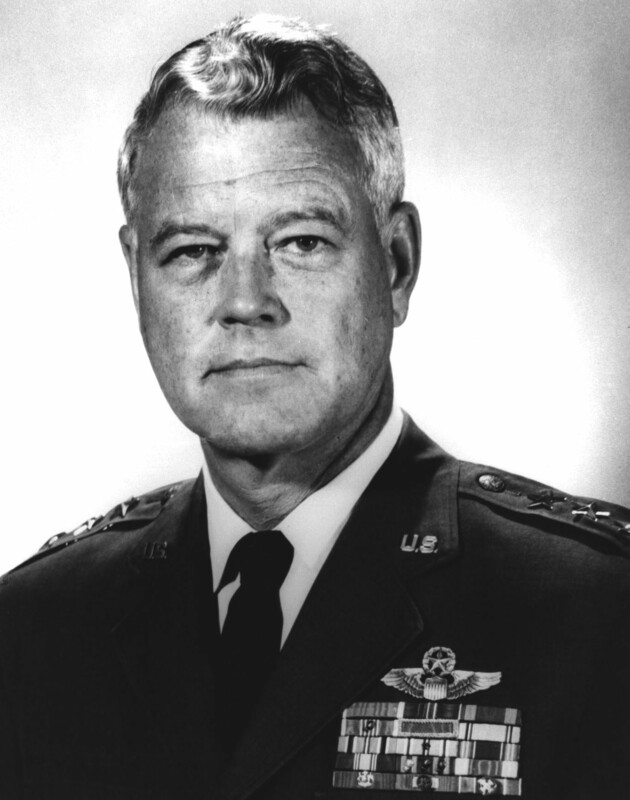 Lieutenant General Robert A. Breitweiser, (U.S. Air Force, retired), 91, died June 21, 2007, in Spartanburg, South Carolina. General Breitweiser was Commander in Chief, Alaska Command, from 1967 to 1969. Requiem Mass for Lieutenant General ROBERT A. BREITWEISER, USAF (Retired) will be held at 10:45 a.m., Wednesday, August 1, 2007, at Arlington National Cemetery, Arlington, Virginia. A reception will follow at the Fort Myer Officers' Club.